Going on NOW - 50% Off All Halloween Merchandise! Still looking for that perfect Halloween costume? Need décor for your spooky party? 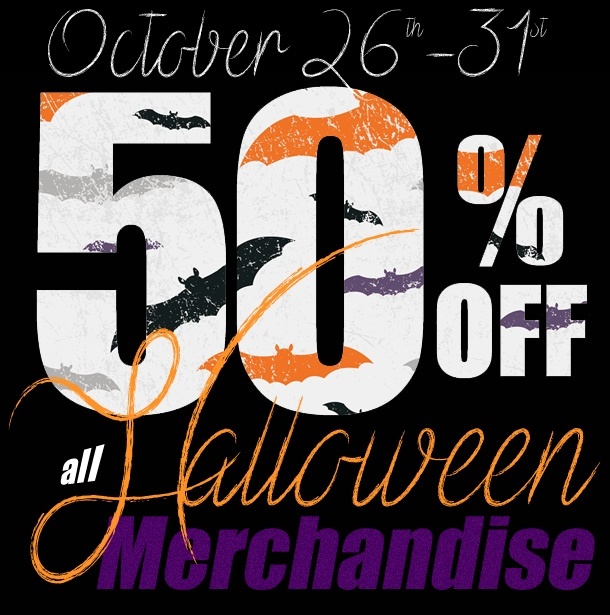 We've got everything you need ... and, ALL Halloween merchandise is now 50% off until October 31st! Shop Goodwill for ALL your Halloween needs! Can't resist creating a one-of-a-kind costume? We're looking for the top two Halloween costume do-it-yourselfers! Show us how crafty you really are and enter the AmazingGoodwill DIY Halloween Costume Contest for your chance to win! 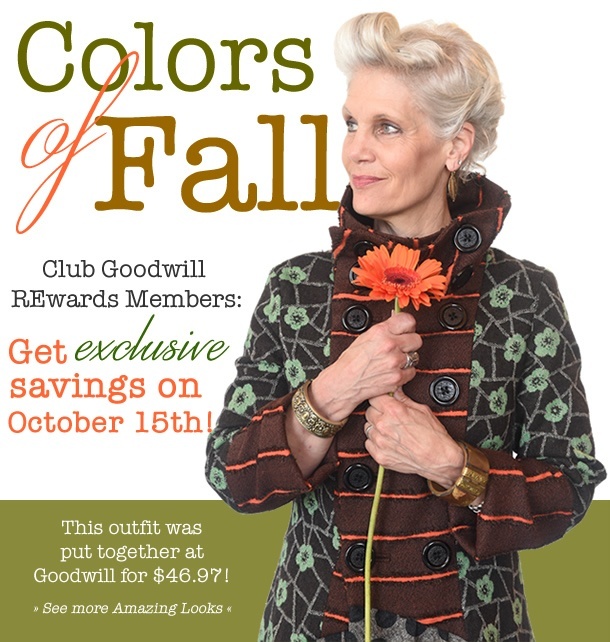 Club Goodwill Members Get Exclusive Savings on October 15th! The Goodwill & Treetime Christmas Creations Tree Trade-In Going on Now! The Treetime Christmas Creations promotion is upon us once again this year. In an effort to spread holiday joy, area residents are being asked to donate their gently used artificial Christmas trees to benefit Goodwill. Each tree donated will in turn be available for purchase at area Goodwill stores, and the funds from selling donated trees and items will provide training and job opportunities for people within the community. The Steinhafels Dining Trade-In Event Begins October 13th! Purchase a NEW dining set worth $699 or more at Steinhafels between October 13th and October 31st and receive FREE delivery (a $95 value) upon agreement to donate your old dining set to Goodwill. Do You Want Tori Kelly to Perform at Your School? Get those donations ready! Goodwill's Fall Haul 2015 begins November 1st! Donate to any participating Goodwill Store & Donation Center in Wisconsin from November 1-30 to help your school win a performance by recording artist, Tori Kelly. Illinois Fall Haul is Coming Soon! 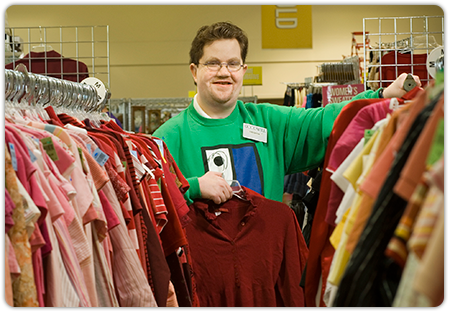 October is National Disability Employment Awareness Month. With origins dating as far back as 1945, it marks the federal government’s effort to urge employers to consider the talents of all workers, including those with disabilities.